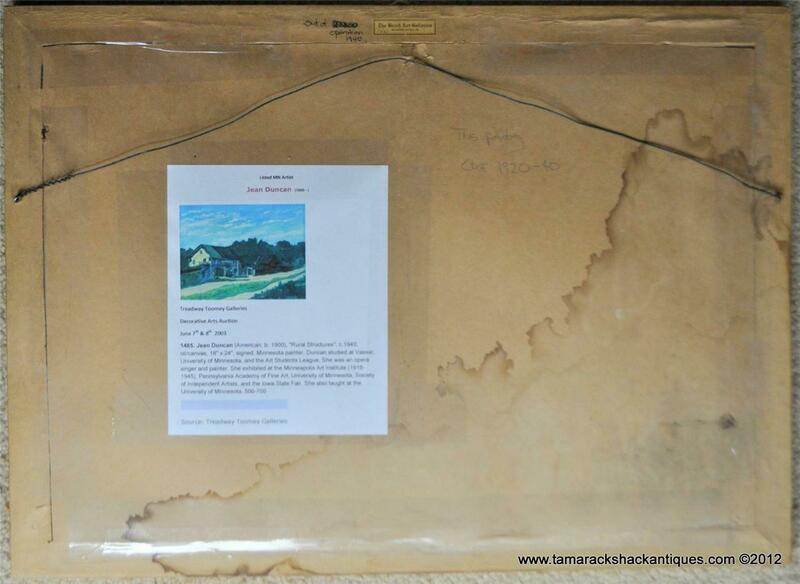 Notes: The painting is in good condition with its original frame. Some spotting. 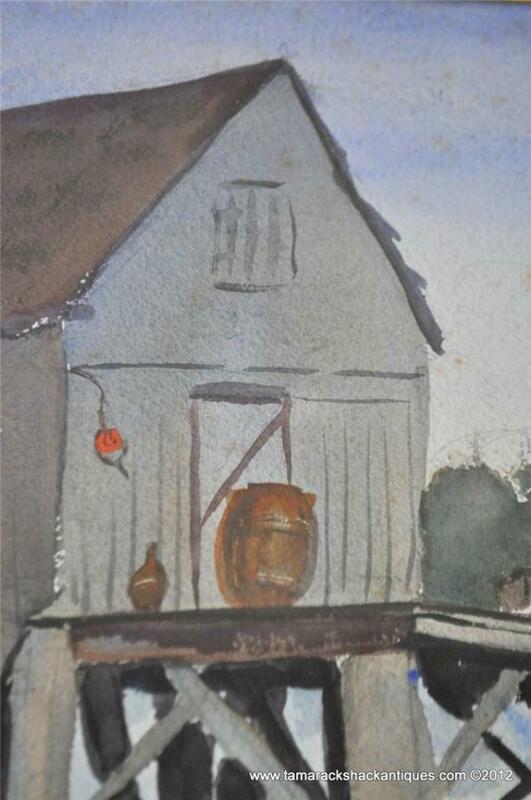 Here is this original watercolor painting by Minnesota artist Jean Duncan (190-1913). 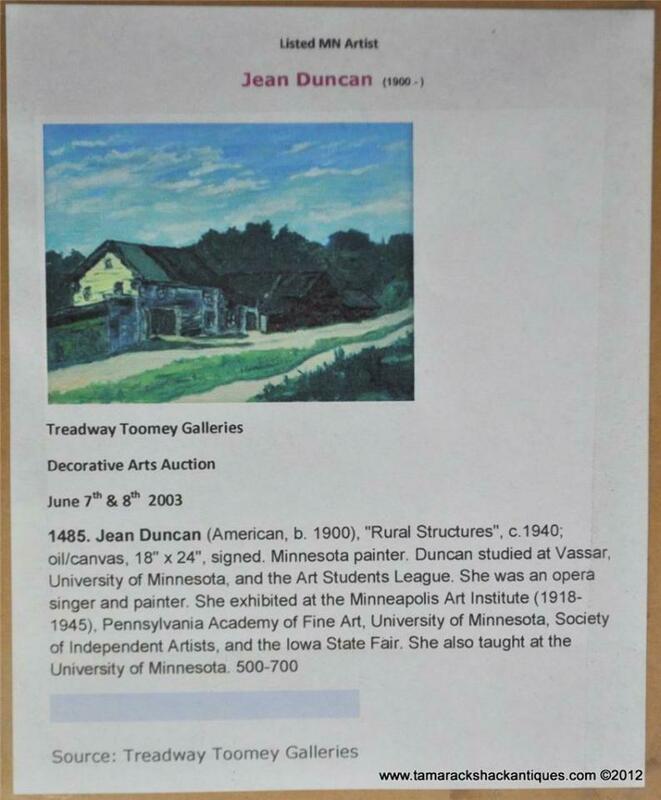 She is listed in Davenport’s and other places. 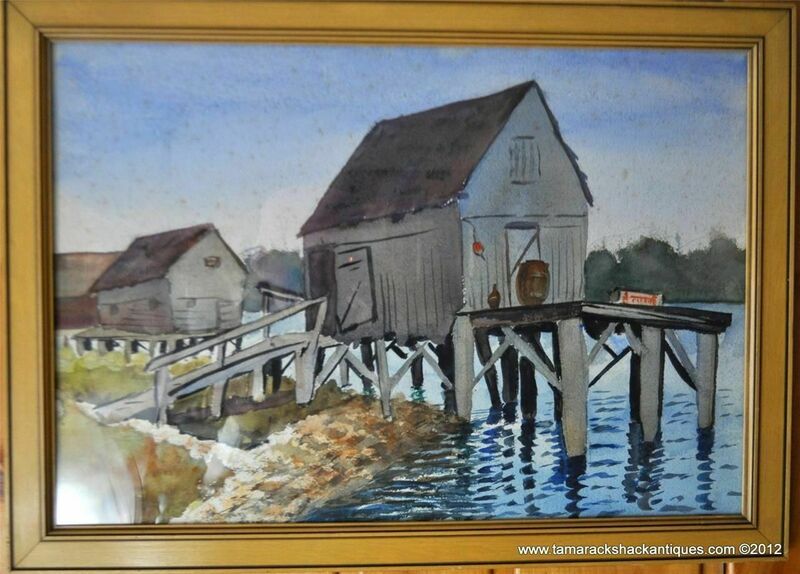 This watercolor is signed on the front. The back has “Out of Operation” 1940 written on the back frame. The scene shows a boat house that is out of water, due to low water on the lake. 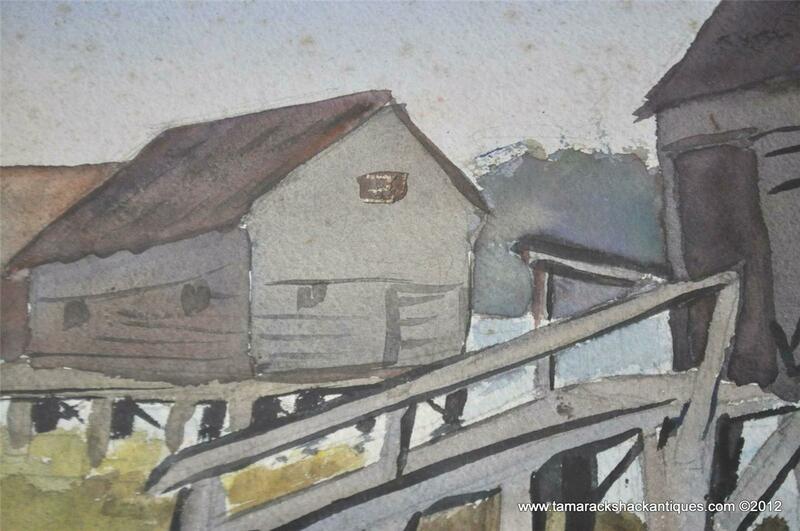 The painting measures 22″ x 15″. The painting is in good condition; the only issue that I see is there looks like there are some brown spots in the “sky” area. The frame measures 25 3/8″ x 18 1/8″. This would be a wonderful addition to a vacation cabin! Enjoy your investment.